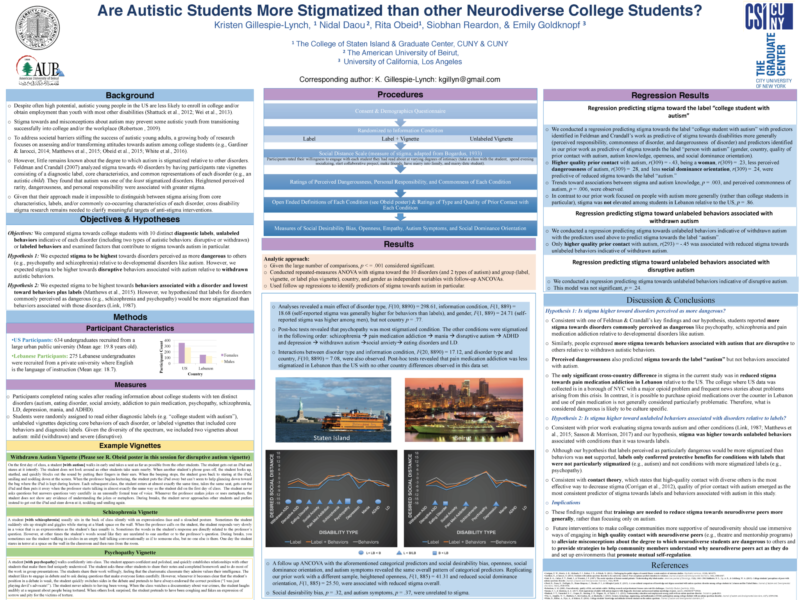 Are Autistic Students More Stigmatized Than Other Types of Neurodiverse College Students? Objectives: We compared stigma towards college students with different disorders and examined factors that contribute to stigma towards autism in particular. Conclusions: Findings suggest that autism is less stigmatized on college campuses than disorders like psychopathy and schizophrenia which may be perceived as dangerous. Indeed, stigma towards the label “autism” was associated with perceived dangerousness. Stigma was consistently related to quality of prior contact with autism, suggesting that interventions which put autistic students into high quality contact with peers are powerful tools for stigma reduction.